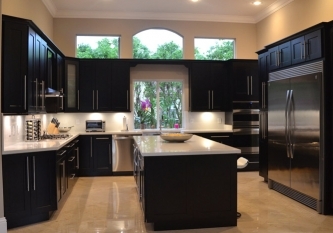 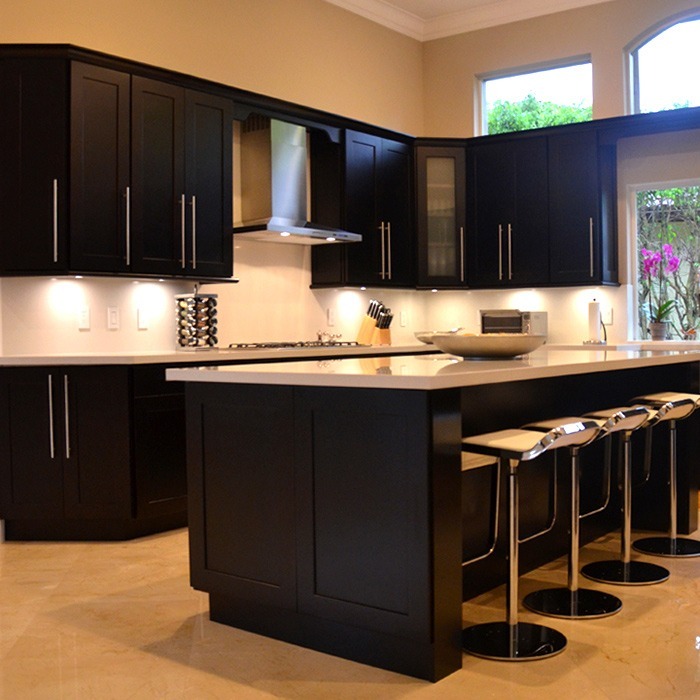 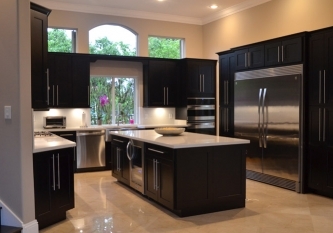 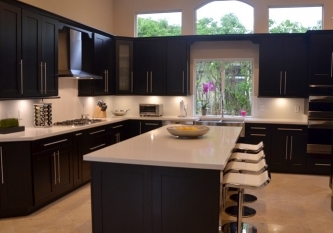 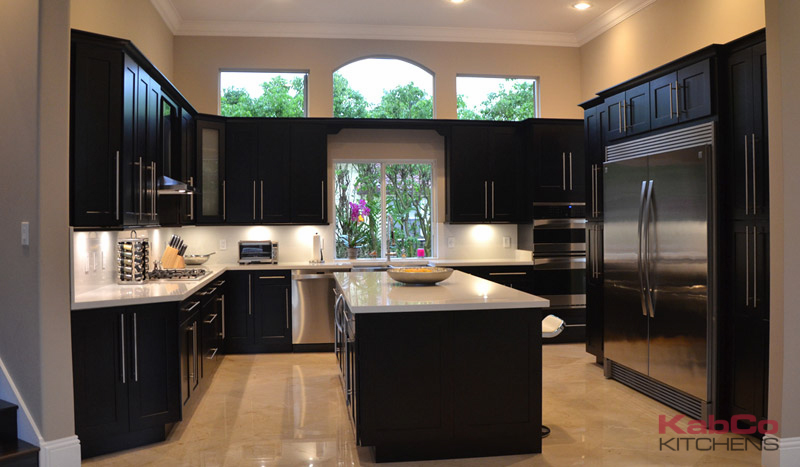 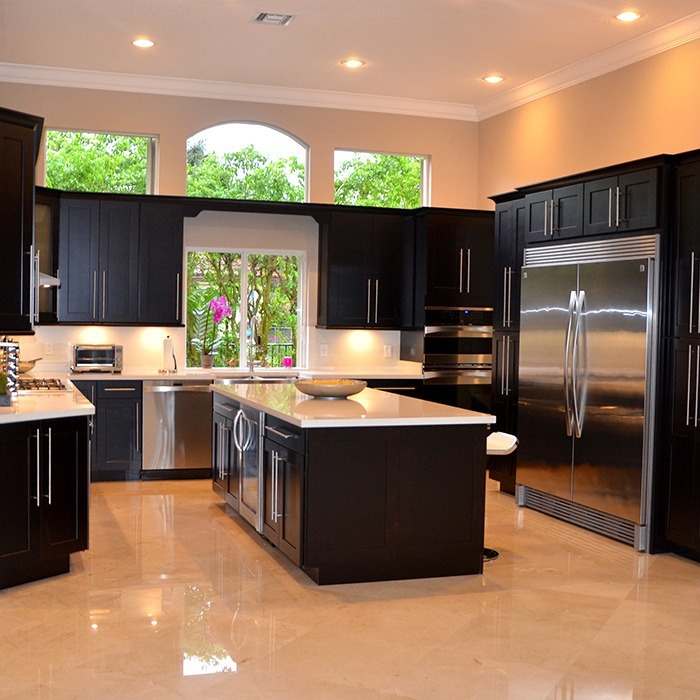 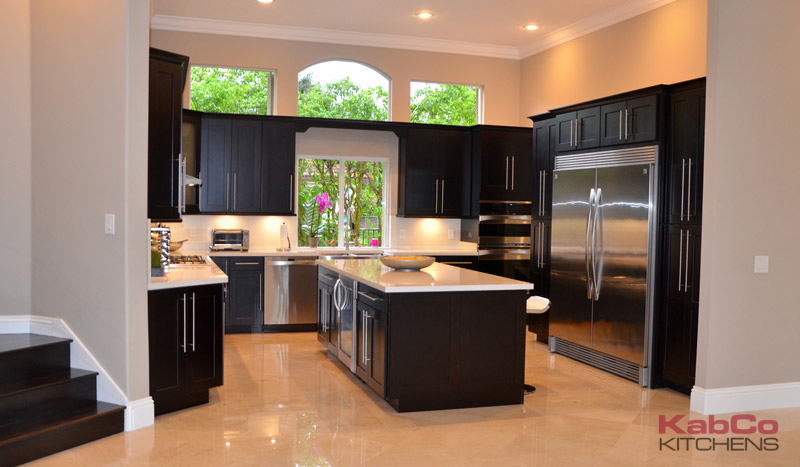 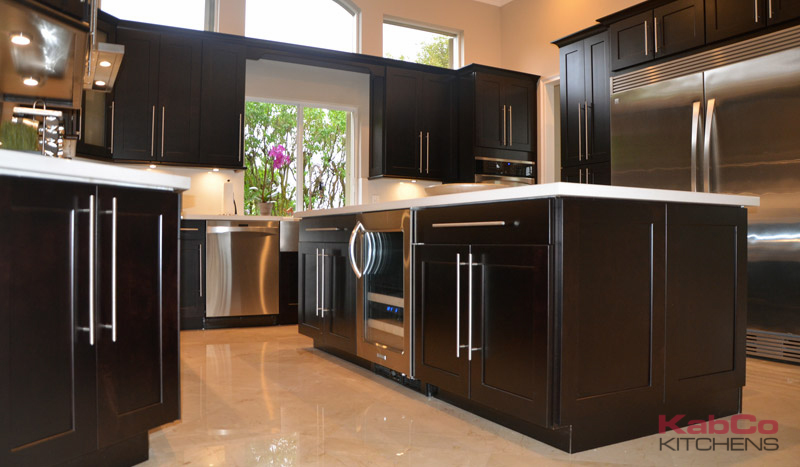 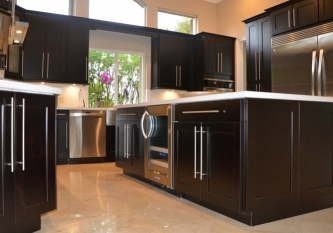 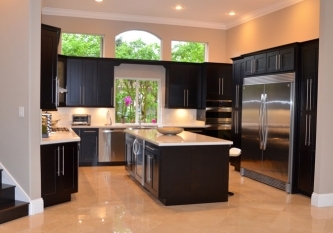 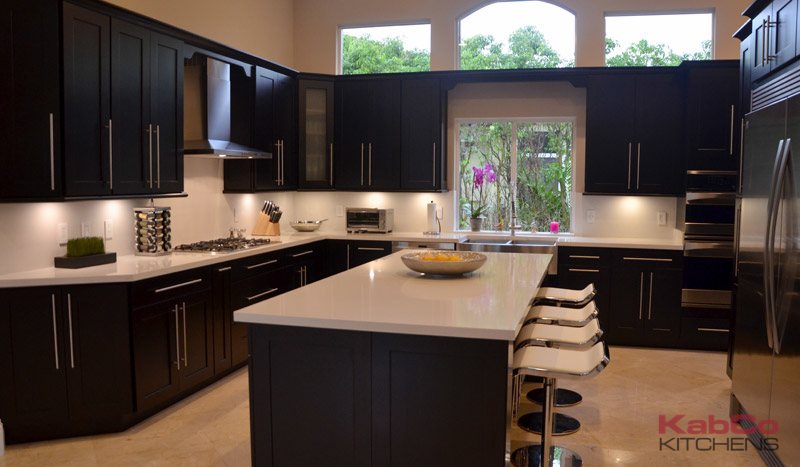 Ever popular Maple Espresso Cabinets by Waypoint Living Spaces were installed in this lavish kitchen. 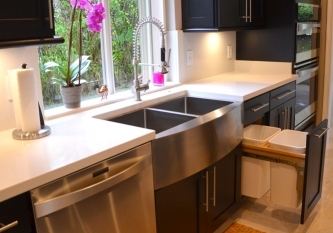 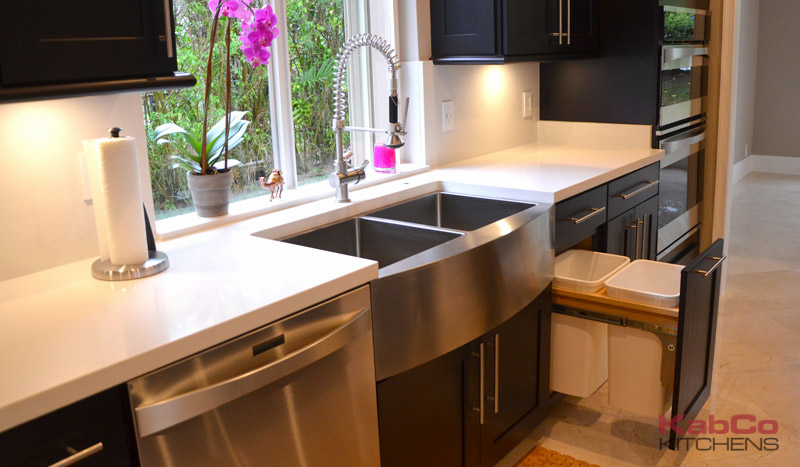 Sleek white quartz counters were selected for maximum functionality and contrast. 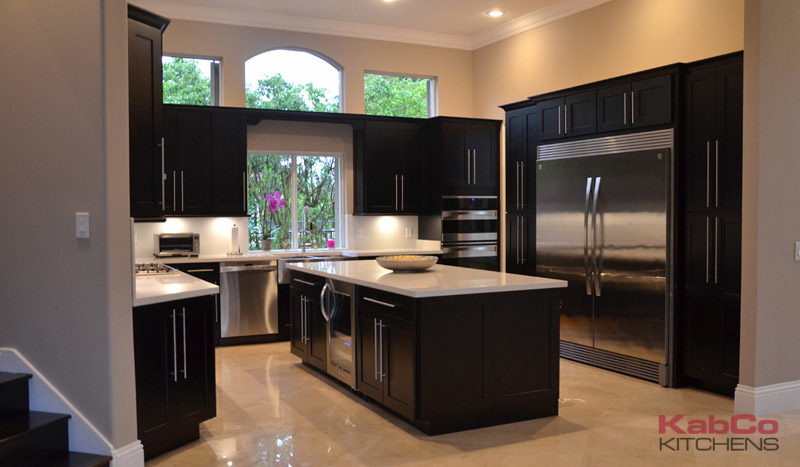 An oversized island flanks this large space perfect for prepping, entertaining and dining in.